I was once asked in a job interview who I would switch lives with were I magically given the opportunity to do so. Unlike many such "creative" questions where I tend to draw a blank, the answer sprang to mind immediately: Anthony Bourdain. I wrote that sentence, and finished up an initial draft of this blog post, the day before learning of his death so it feels different to relate that anecdote now. In the eighteen years since Kitchen Confidential made him famous and lead to countless episodes of what is essentially the same (excellent) TV series ad infinitum, he never appeared to get comfortable. His drive to continue learning, growing, and exploring was and remains inspiring to me and countless others plugged into the world of food, eating, and travel. I feel personally inadequate to the task of eulogizing him. For that I would refer you to Eddie Huang writing for Rolling Stone or Kim Ghattas in The Atlantic whose tributes do well at capturing the towering persona Bourdain was. I'm here in the mortal realm merely to give you some cookbook commentary, and I did initially mean this post to be review of his most recent cookbook, Appetites. I have been a disciple of his for over twelve years and uncritically love most of his creative output, but I'm confident that even the unconverted would find much to enjoy about the kitchen wisdom the book contains. Appetites is something of a gourmand's manifesto containing the accumulated knowledge of years spent traveling, eating, and cooking. There are excellent recipes for comfort food staples like meatloaf, macaroni and cheese, and chicken pot pie -- as well as more creative options like octopus stock, saffron risotto, banh mi, and at least one recipe that you and I will never make at home because it involves truffles. 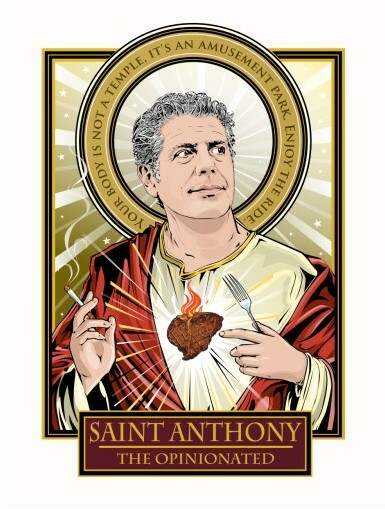 One thing I most appreciated about Bourdain was that he could enjoy simple, uncomplicated food -- barbecue, burgers, and any "meat in tube form," as he would say -- just as much as foie gras, caviar, and poularde en vessie, and Appetites reflects that attitude. You get what is probably the world's ten millionth buttermilk biscuit formula along with a recipe for halibut poached in duck fat. It's all there. From simple to complex, like the man himself. 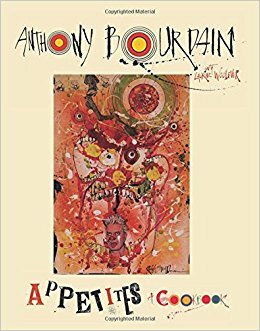 It's not his only cookbook, there's also Anthony Bourdain's Les Halles Cookbook, but Appetites is the one you want. It's a family cookbook meant for entertaining at home, cooking for a crowd and impressing your guests. He pays a lot of attention to choosing recipes that work, and that won't leave you working overtime in the kitchen while your friends and family enjoy themselves without you. To that end, there's an entire section devoted to a preparing a Thanksgiving meal over three days that is both impressive and efficient. There is not, however, a section devoted to dessert. But until I was reading through this summary of his work I hadn't actually taken note of that fact so I guess it doesn't really feel like anything is missing. It's too bad we can't say that about the world now that he's gone. Here's to you, Saint Anthony.